Why the Mystic Restaurant Week is One of the Best Events of the Year! Enjoying the local cuisine is one of the best parts about exploring a new destination! If you’re vacationing in the lovely waterfront town of Mystic, CT, you’ll soon discover that there are innumerable restaurants here worth visiting. One of the best times of the year to enjoy Mystic’s unique restaurant scene is to visit during Mystic Restaurant Week! Learn everything you need to know about this event and start making your travel plans today! When Is this Year’s Mystic Restaurant Week? The Mystic Restaurant Week 2016 will take place from November 7th-13th. 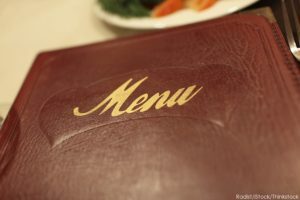 What Is the Mystic Restaurant Week? The Mystic Restaurant Week is a highly-anticipated annual event, during which numerous restaurants around the town of Mystic, CT, offer special menus and prices for guests to enjoy throughout the week. Hosted by the Connecticut Restaurant Week, this event allows people to dine at multiple venues throughout the week for a lower cost than usual. Almost 20 restaurants will be participating in the Mystic Restaurant Week 2016! Here are just a few examples of restaurants that will be offering a special menu during this week of delicious dining. Engine Room: With its rustic elegance and heavenly food, the Engine Room in Mystic, CT, is a wonderful place to enjoy a meal. Choose from a $15 lunch that includes an entree and a dessert or a three-course dinner for $20.15. Their carefully prepared meals are truly delectable; take a look at their menu, then go taste this amazing food for yourself! Latitude 41: You are guaranteed to love the food prepared by Latitude 41. Using the freshest local ingredients, they are able to whip up some meals that are both healthy and satisfying. Mystic Diner: For a cozy atmosphere and hearty, filling food, make your way over to the Mystic Diner! They will be offering a wide variety of different appetizers and entrees to choose from. Don’t forget to save room for a big slice of apple pie for dessert! Make sure to take a look at the full list of places participating in the Mystic Restaurant Week 2016 so you can decide where to eat first! Don’t forget to “Like” the Mystic Restaurant Week Facebook page so you can receive the latest updates on specials! If you love using Instagram, make sure to tag your food photos with the hashtag “#CTRW”! Where Should I Stay during the Mystic Restaurant Week? 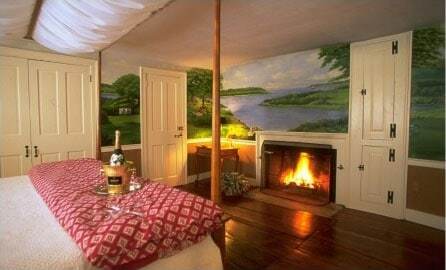 Make the most of your trip to Connecticut for the Mystic Restaurant Week by booking a room in the finest accommodations possible! 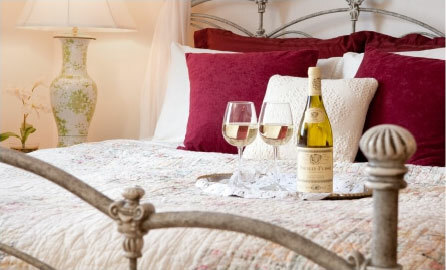 Stonecroft Country Inn is a cozy bed and breakfast in Mystic, CT, that contains beautiful rooms, each fully equipped with all the amenities you need for a weekend of rest and relaxation. Spend time exploring the many local attractions or simply unwind in the peaceful environment our property provides. Our lovely haven in Connecticut is guaranteed to provide you with all the comfort and luxury you could ever need, so what are you waiting for? Check our availability online right now so you can start planning the trip of a lifetime!